So I concluded at the end of this post that I needed to come up with a name for the savings/investments pot that I intend to use to become financially independent and have the option to retire early. Many PF/FI bloggers seem to have a name for theirs and I guess there is some power in naming and defining the goal – making it personal. Some call it their ‘F.U. or F*** You Money, which I guess is what they want to say to their bosses/the establishment/everyone once they’ve reached their goal! Others call it their ‘Freedom Fund‘ or ‘Freedom Pot‘ – ie freedom from the ‘Man’, freedom from 9-5, freedom to do what they want. ‘Happy Fund‘ – I like this one but it suggests that I’m not happy now and that’s not true! ‘Swag Bag‘ – I was really going to go for this one but it’s got dodgy connotations! ‘Money Pot‘ – my Plan B name if I couldn’t think of a better one! ‘Early Retirement Fund’ – does what it says on the tin but doesn’t sound very exciting! So after racking my brains for a bit, behold my…. Well, I like my science fiction, so I thought it sounded a bit cool in a geeky sort of way, haha! So anyway, it’s errr, a fund that I’m saving up for my future and will incorporate all my investments (SIPP, NISA and other), NISA cash savings, premium bonds, shares, my stakeholder pension and my peer to peer loans. It will not include my company pension, as my aim has always been to save over and above this. Right now, the ultimate goal is to get my Future Fund to be worth at least £250,000 by the year 2029 (when I turn 60). If I stretch myself with my annual goals, it’s possible that I may get there sooner, so I intend to give myself challenging yearly goals. Based on end of November numbers, my Future Fund stands at £41,884.52. At 16.75% of my target, there’s still some way to go but I will be giving it my best shot! I’m heartened by my own progress so far and greatly encouraged and inspired by others in the PF blogging community. I am aware however that in maintaining certain aspects of quality in my life (eg my holidays, my social life), I need to ensure I control my spending in other areas, being frugal where I can so that I can continue to save and invest as much as I can. This entry was posted in Blog Update, Portfolio, Savings by weenie. Bookmark the permalink. Future fund sounds interesting. It feels like you are back to the future. Time machine. Alll those geeky stuff happening at the universal. I like your Fund name. I didn't give mine much thought, and it is a little generic. I wish I had given it a little more time and creativity. Oh well. I think you're doing very well with 16.75% of your total. This is your first year of saving/investing whilst you're Blogging about it. You're now consistently saving 50% of your income, and see this getting higher and higher each year. I wish you the best of luck with your goal. You have my full support! Hi B, I love stories about time travel! If I had a time machine, I would go back in time and tell my 22 year old self to start saving and investing and not get into debt! Hey Huw, thanks. There were some other names I'd considered but they were way too wacky to even include here! I think your 'Freedom Pot' is quite apt for you! Thanks for the encouraging words – I do think 2015 should be a good year for me, I only have the usual expenses to consider, no weddings or big birthdays to account for and I'm quite excited about having a whole year to play with! 2029 sounds so futuristic…we could well be on hover boards by then lol! Thanks very much for your continued support, Huw! I named my portfolio many years ago. I noticed most "funds" had a name to them – Sequoia Fund, Magellan Fund, etc. So I figured I'd title mine what it was really for: freedom. You've got a nice portfolio there. That's an impressive balance. Keep it rolling! Great name. I haven't given one to our dividend portfolio yet. Maybe I should think about that. Future Fund is a good name! I always give everything an inspiring name – it helps with the motivation. We have similar 'future' savings goals. We're at 9.17% and like you don't include pensions etc. This is just the investments pot! 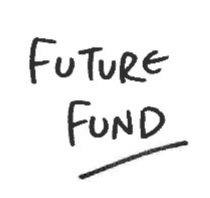 Great name weenie – it says what it needs to do – "Fund the Future". Thanks! I didn't know what to call my investment portolio + savings etc and as you say, many funds have names and I noticed that many bloggers had names for their funds so I joined the club! Hi Tawan, thanks. Good luck in thinking of a name for your dividend portfolio! Hi Laura, thanks! Yes, I found it good to give it a name finally – it's become properly personalised! Hi DivHut, yes, that's what it means ultimately, freedom to do whatever! I've always loved the 'wiccan' references in your blog so The Cauldron is totally apt for your investments lol! Love the name, does what it says on the tin! Great to see your progress, and I am sure that you will enjoy receiving your dividends on an increasing basis as you add funds to the Freedom Fund. Hi FI UK, thanks and yes, I very much look forward to receiving dividends to add to my fund! Thanks for the kind words and for stopping by! I think this should be very manageable indeed – maybe even too manageable. At 8% p.a. growth in investments, you'll only need to be saving £360 per month. Looking at your November savings report, you saved over £1,400 in November. Even if you only assume a 5% annual investment return, that is still only a £630 per month contribution, which is much below your current level. Have you thought about bumping up your goal at all? Additionally, if you want to join a larger community who are all saving towards these similar goals (net wealth and savings rate), come take a look at our 2015 savings challenge. Hi May, thanks! Ooh, Serenity Fund is a great name and does bring to mind peace and calm! Good luck in thinking of a name for your retirement fund! Hi moneystepper, thanks! As this is my first proper year investing/saving properly, I've probably been more on the cautious side when I set my initial goal, so yes, I shall be reviewing my goal but after I've got a few years under my belt. Growth-wise, I think I've used a very conservative 4%! Let me take a look at your 2015 savings challenge – I don't really have a goal as such for my net worth but I guess I could set one up for your challenge. Thanks for inviting me and thanks for stopping by! I like the fund name as well weenie, I will have to think of a name for my "stash" and actually put it up on the blog for all to see as well!!!! Cheers and good luck to you as usual. I don't really have an official name for my fund, since it's really kept in like 5 different places, but sometimes diversification requires you to have accounts at multiple places…. Anyways, if I had given it a name it would be my "F<3ck Yeah!" money because it's money saved for awesomeness. Hey TFS, yes, who really knows what things will be like in the future but may as well try to plan for it, eh! Thanks and I'm sure you'll come up with something inventive and witty to name your 'stash' – looking forward seeing your updates and all the best to you too! Hi Zee, my investments and savings are in half a dozen places…just that I'm collectively calling them all my 'Future Fund' for simplicity! Lol, that name is an awesome one – good luck with it!